The pocket-sized book hailed “The most popular veterinary reference guide in the southern hemisphere” is now available to purchase in the UK. 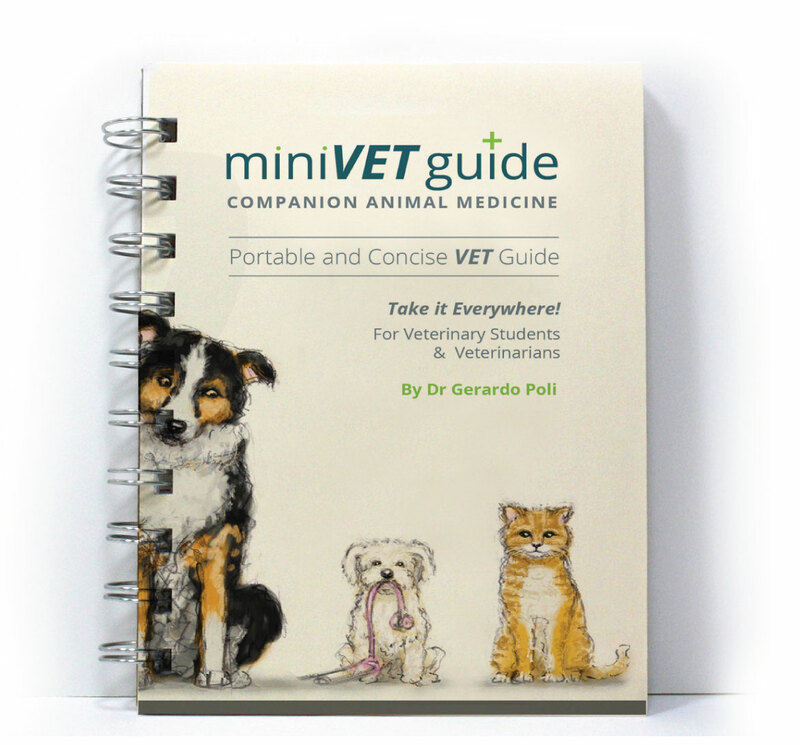 According to author and emergency vet Gerardo Poli, 80% of Australian and New Zealand vet students and young vets own a copy of The MiniVet Guide to Companion Animal Medicine, a reference guide designed to help students through their final year of rotations and aid new vets through their first years of clinical practice. The guide offers information on how to diagnose and treat, and what to use in a consult. It also includes information on common presenting conditions in a simple and concise format. When studying, Dr Poli – director at Animal Emergency Service in Queensland, Australia – found he was using many resources despite only needing a certain chapter or part of each book. After talking with fellow students, he realised a single resource a student or vet could take everywhere was missing. Dr Poli said: “The information in The MiniVet Guide has been collated over the last eight years, based on the curriculum of veterinary medicine. It combines what I learned during my final years of vet school and understanding the needs of recent graduates in clinical practice. According to Dr Poli, the purpose of his guide was to make life easier for vet students around the world. Dr Poli successfully launched The MiniVet Guide in the US veterinary market and, in July, showcased the guide at the SPVS Lancaster seminar for final year students. He will also be involved with London Vet Show 2016, as well as Association of Veterinary Students Congress 2017 in Cambridge.